The nations of Latin America came into being without a strong sense of national purpose and identity. 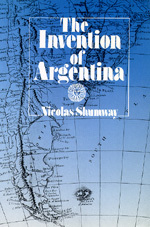 In The Invention of Argentina, Nicholas Shumway offers a cultural history of one nation's efforts to determine its nature, its destiny, and its place among the nations of the world. His analysis is crucial to understanding not only Argentina's development but also current events in the Argentine Republic. Nicholas Shumway is Associate Professor of Spanish at Yale University and the author of numerous articles on Spanish and Spanish American literature.